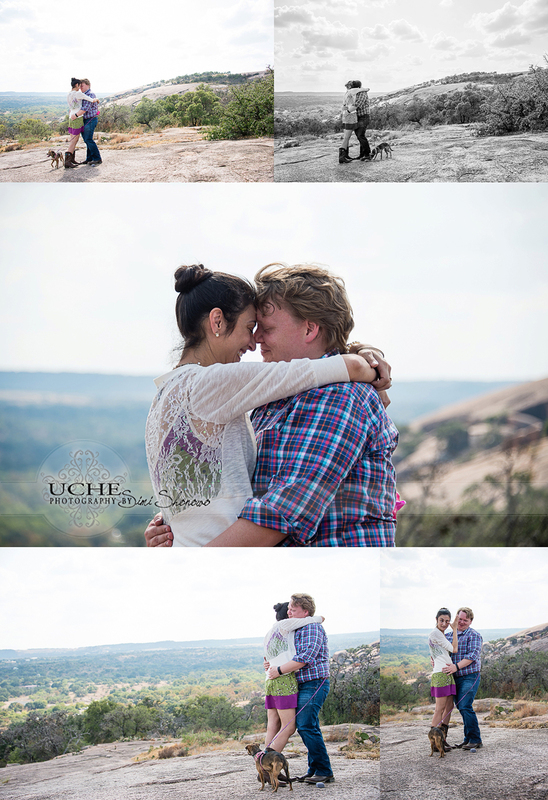 Their proposal was really the one part of a whole process of planning but certainly the main event. The summary: Ryan proposed to Holly and she said yes! 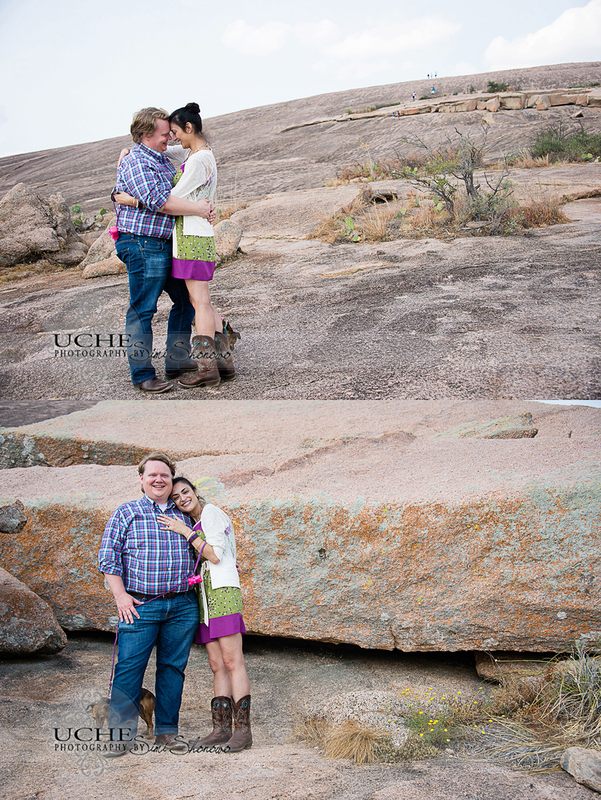 Ryan’s plan was to propose to Holly at Enchanted Rock the location of their first kiss (awwww!). However, to do this he had to get her there without her knowing what was taking place. Also, he wanted pictures that would capture the event but not let her know what was about to happen. 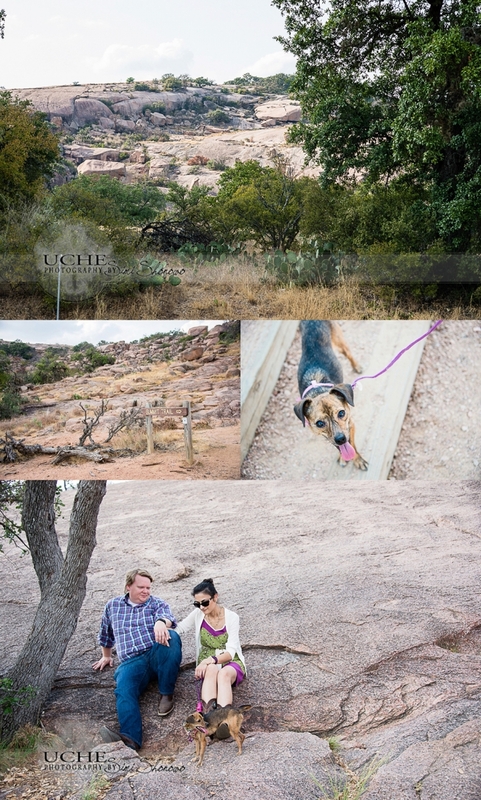 The plan: I meet them by chance at Enchanted Rock, since there is no place on the face of the rock where I could hide to take photos. Then since I always have my camera I accept the invitation to hang out with them as they “take a walk on the rock”. The plan walked flawlessly, to my surprise, because Ryan knows his girl really well! 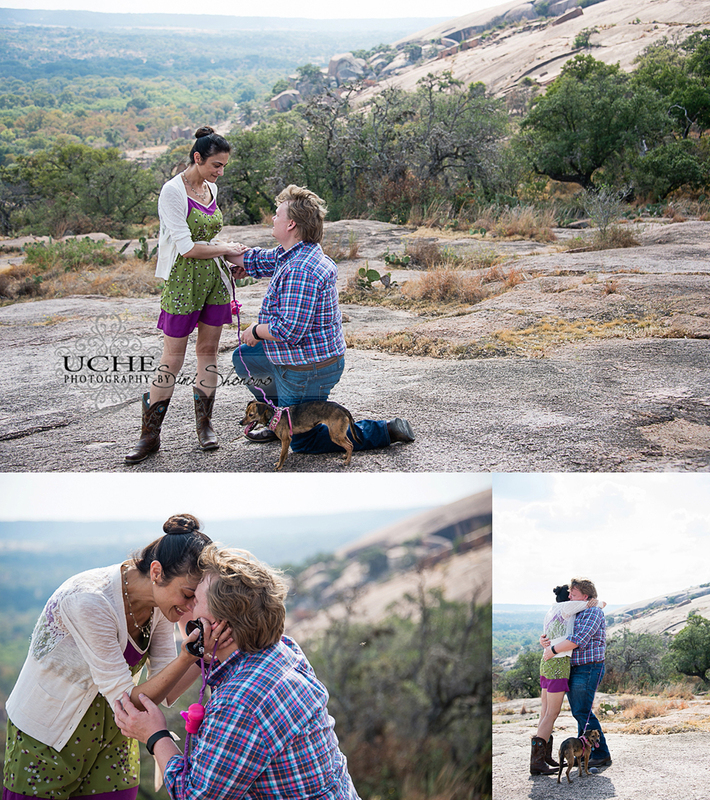 At the end, it dawned on Holly that I knew all along it was her proposal. I could not tell her that and ruin the surprise. I am so happy for Ryan and Holly! Congratulations Ryan, Holly said YES! Enjoy the photos for the full story. 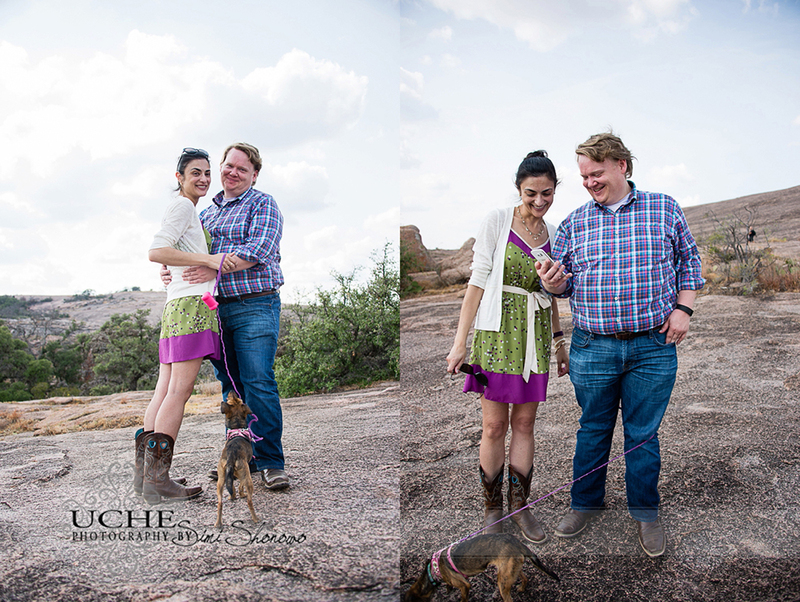 The joy: Witnessing and capturing their proposal to allow them to share and remember it! I LOVE MY JOB! Proposals are so much more fun as surprises 🙂 What a gorgeous day for this special time in their lives! Cool pictures. Cool story. An they lived happily ever after. Fun. Thanks for sharing! 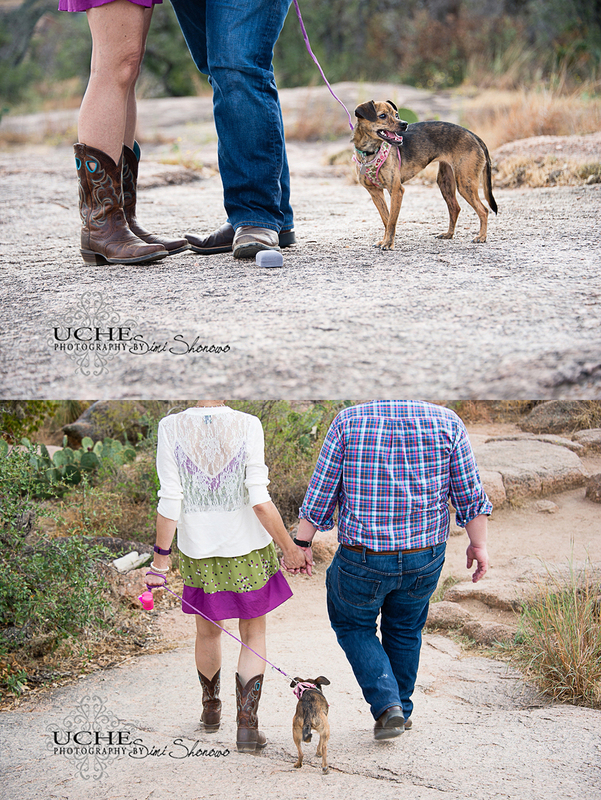 Loved the shot of their feet with the ring box and the pup! Great job :). What a great story and proposal location! Beautiful memories and great job Simi! You know I love these!!! Simi thanks for helping to make this a wonderful memory for both of us! Not only with your excellent acting ;0) but also with the incredible skill that you captured our special moments. So sweet! Well worth the hike! How romantic! Thanks for sharing this fairy tale, true life story with your friends.